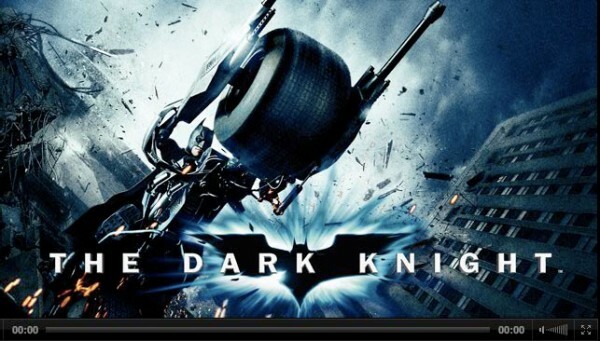 Warner Bros. has started offering streaming movies via their Facebook movie page for “The Dark Knight” — the first studio to launch such a product within the Facebook website. Could Facebook pages compete with Netflix and other streaming services if additional film studios follow in Warner’s footsteps? Not by offering just one title. But the idea is a great one considering people are on Facebook all day anyway — why not keep them logged-in even longer? Movies can be rented by using Facebook credits (30 credits or $3). Once the credits are applied you can watch the movie as many times as you like within 48 hours. As of now, only Facebook members in the U.S. can use the service. Warner says a purchase option will also be available in the near future. “[The service] gives consumers a simple, convenient way to access and enjoy our films through the world’s largest social network, said Thomas Gewecke, President of Warner Bros. Digital Distribution. The streaming app also allows you to interact with other Facebook members while watching — post your status, make a comment, things you may have done with Blu-ray’s BD-Live. I don’t want to watch movies on my computer. I’ll stick with Netflix. Warner Brothers became the first major media company to offer a movie for rent on Facebook, a move that could position the social network to become a force in the digital distribution of movies, rivaling services like Netflix and iTunes. Warner said on Tuesday that it would allow Facebook users in the United States to rent the film “The Dark Knight” directly on the social networking site, and pay for it using Credits, Facebook’s virtual currency. If other studios make similar moves, Facebook could tap a significant revenue stream, bolstering its Credits currency as it seeks to create a rival to PayPal and other payment systems.